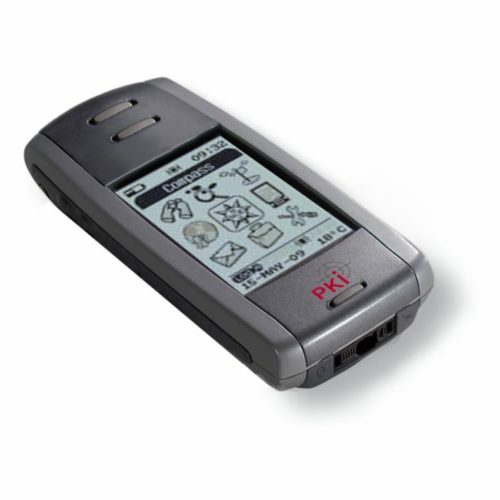 For any secret service department the PKI 2465 is an essential tool for covert communications. With this set, a disguised, unobtrusive and hands-free conversation over the mobile phone network is possible. Whenever you are using the PKI 2465 with the mobile phone, you can hear and speak unperceived by others. The microphone is integrated into the inductive coil, which also transfers the received signals to the wireless earpiece. This tiny little wireless receiver is to be placed in the ear. The inductive coil just has to be placed around operator’s neck and connected to the mobile phone. As standard, a mobile phone type NOKIA 3120 is supplied. Other types are available upon request. Then the mobile phone can easily be hidden in the pocket of a jacket or trousers without hindering operator’s mobility.